Purchase an ENERGY STAR® high-efficiency clothes washer and receive a Utilities' rebate. In 2017, Utilities construction and maintenance crews will continue to replace aging infrastructure and construct improvements. 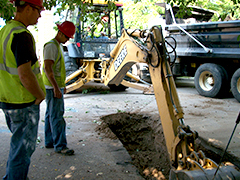 This annual pipe replacement program is coordinated with the Streets maintenance schedule for efficiency, cost effectiveness and reduced traffic and neighborhood impacts. 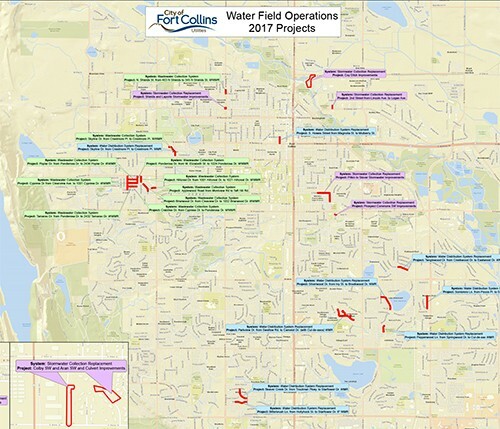 Nine waterline projects totaling 9,300 feet of 6 and 8-inch diameter pipe. Six stormwater pipe projects totaling 3,000 feet and three channel and detention projects. Nine wastewater sewer pipe project totaling 6,200 feet of 6-inch diameter pipe. View project map for more information.